The issue of spousal support and alimony is a delicate one and these demands can cause an acrimonious departure from the marriage both parties valued before. However, spousal support and alimony is outlined by law in Florida and must be followed by the divorcing parties, which requires the help of a qualified Family Lawyer knowledgeable in the field alimony and spousal support. There are 6 types of alimony in Florida: permanent alimony, durational alimony, rehabilitative alimony, bridge-the-gap alimony, temporary alimony and lump sum alimony. Each type of alimony serves a different purpose. A general summary of each type of alimony in Florida is presented herein. It is important to understand that many factors influence whether alimony will be awarded by the Court. The information contained herein should be considered only as general information and not specific advice as to any particular case. Permanent alimony in Florida: The theory behind permanent alimony in Florida is to allow a spouse who has not worked (or has lower income or lower earning potential) to continue to live in the same standard of living as enjoyed during the marriage. Permanent alimony is more likely to be awarded in a long term marriage (defined as a marriage greater than 17 years in length). Permanent alimony in Florida can be awarded in medium length marriages (defined as marriages of 7 years but less than 17 years). In medium length marriages, the greater the length of the marriage and the greater the disparity of income influence whether permanent alimony is awarded. In exceptional circumstances, permanent alimony can be awarded in short term marriages (defined as a marriage of less than 7 years). This is very rare and usually only happens when one spouse has been seriously injured or has come down with an incurable disease that does not allow them to support themselves. There must be a showing by the party seeking permanent alimony in Florida that the other party has the ability to pay the alimony amount requested. Rehabilitative alimony in Florida: Rehabilitative alimony in Florida is more typically awarded in medium length marriages and short term marriages. Rehabilitative alimony may be awarded to assist a party in establishing the capacity for self-support through either: the redevelopment of previous skills or credentials; or the acquisition of education, training, or work experience necessary to develop appropriate employment skills or credentials. The party who is seeking rehabilitative alimony has to show the court a specific and defined plan of rehabilitation (such as attendance at college or vocational training). Often the rehabilitative claim is made by a party who has given up their education or job to raise children and now needs support so they can finish or reestablish themselves in the workforce with education and/or training. Durational alimony in Florida: The newest type of alimony in Florida is durational alimony. Durational alimony may be awarded when permanent periodic alimony is inappropriate. The purpose of durational alimony in Florida is to provide a party with economic assistance for a set period of time following a marriage of short or moderate duration. A key principal of durational alimony is that the party seeking durational alimony does not have to have to present a rehabilitative plan. Until durational alimony in Florida came into existence, the judge had to decide between permanent alimony or rehabilitative alimony. Now, there is an in between solution. Bridge-the-gap alimony in Florida: Bridge-the-gap alimony in Florida is short term alimony and cannot exceed 2 years in length. It can be awarded to a party to allow the party to ease the financial transition from married life to single life. Temporary alimony in Florida: Temporary alimony in Florida can be awarded to a party to cover their needs from the time that the dissolution of marriage action is filed through the entry of the Final Judgment of Dissolution of Marriage. 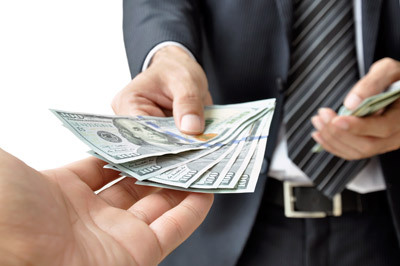 Lump sum alimony in Florida: Lump sum alimony in Florida is somewhat of a hybrid form of alimony. In some circumstances it can be used as a means of support and other times can be used to equalize the asset distribution (i.e. one party may be awarded a business and the other party is awarded lump sum alimony as an offset). Statute addressing alimony in Florida: An award of alimony in Florida, if any, is decided by the Court considering Section 61.08 of the Florida Statutes. The court also considers case law from the Florida Supreme Court and Florida District Courts of Appeal in deciding entitlement to alimony in Florida. Please feel free to contact me to discuss your questions about alimony in Florida. The court may grant alimony to either spouse. Generally, an award of alimony will be based on the requesting spouse’s need for financial support and the paying spouse’s ability to pay. Although adultery does not prohibit an award of alimony, the court may consider the adultery of either spouse and the circumstances of that adultery in determining the amount of alimony to be awarded. The standard of living established during the marriage: The analysis with this factor is to determine how the parties lived. What is the value of the marital home, cars, jewelry and possessions? What kind of vacations did the family take? The higher the standard of living, the greater chance of alimony in Florida being awarded. However, the standard of living during the marriage is not so much of a factor in short term marriages. The duration of the marriage: Typically, the longer the marriage the more exposure to alimony being awarded. Permanent alimony in Florida is more likely to be awarded once a marriage exceeds 17 years in length. When permanent alimony is not appropriate, then durational alimony may be awarded. The age and the physical and emotional condition of each party: The age and the physical and emotional condition of each party. A person’s age and health have an impact as to whether alimony in Florida is awarded. If a party is older and in poor health (either physically or emotionally) have a greater probability of being awarded alimony in Florida then a younger, healthier person. The financial resources of each party, including the non-marital and the marital assets and liabilities distributed to each: As to all types of alimony in Florida, the analysis always starts with the need of one party and the ability to pay by the other party. The Court looks at the financial situation of each party. It is important to note that the Court can also look at a party’s nonmarital assets to determine whether alimony in Florida is paid. An example of this would be if one party had a business prior to the marriage or trust fund that pays that party a substantial amount of income. The earning capacities, educational levels, vocational skills, and employability of the parties and, when applicable, the time necessary for either party to acquire sufficient education or training to enable such party to find appropriate employment: There are times when a party is not working, however, this factor takes into consideration that the party has the ability to work. An example, would be a stay at home parent who did not finish their college degree. That party may earn $0, but with the completion of their education could find employment and support themselves. This is a scenario where rehabilitative alimony in Florida might be considered. The contribution of each party to the marriage, including, but not limited to, services rendered in homemaking, child care, education, and career building of the other party: Examples of this would be the spouse who has stayed home to raise children, the spouse who has relocated to different states to further the career of the other spouse or the spouse who helped the other spouse get through school. The responsibilities each party will have with regard to any minor children they have in common: This factor can come into play when children are younger or when there is a special needs child who is required to be at therapy or doctor’s appointments. The tax treatment and consequences to both parties of any alimony award, including the designation of all or a portion of the payment as a nontaxable, nondeductible payment: Alimony in Florida can be taxable or nontaxable. Typically, alimony in Florida is tax deductible to the person paying it and taxable to the party receiving it. All sources of income available to either party, including income available to either party through investments of any asset held by that party: All sources of income available to either party, including income available to either party through investments of any asset held by that party. An example would be if one party receives a $50,000 investment account that has historically earned 5%, then the Court could add $2,500 to that party’s income when considering whether to award alimony in Florida. Any other factor necessary to do equity and justice between the parties: This is a catch all which gives the Court leeway to fashion a proper award of alimony in Florida. The Eric Boles Law Firm in Tampa, Florida understands the delicate nature of Spousal Support and Alimony. This is why we provide a dedicated and compassionate approach to your specific case, while upholding the integrity of these laws in Florida. An accomplished Family Law Attorney will deliver your case with the professionalism and legal fervor and ensure that you are not left alone, in the financial cold. For a free consultation with a Family Lawyer of Eric Boles Law Firm on the Spousal Support and Alimony, complete the contact form (click here) or do not hesitate to call (813) 933-7700. We will ensure that your spousal support and alimony rights are protected.